May 25, 2015 By Tina M 7 Comments This post may contain affiliate links. Read my disclosure policy here. 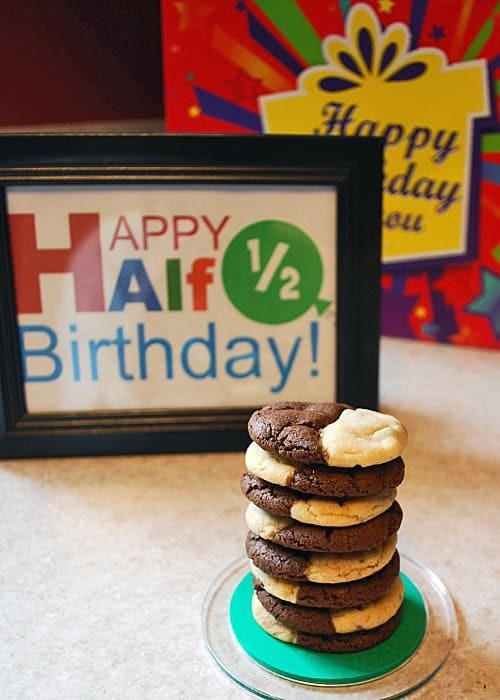 The fun thing about half birthdays is there is no expectation on how they are celebrated either–even a card and some cookies is considered overly thoughtful! I also wrapped various gifts for him to open every hour, on the half hour. I need some ideas for next time! 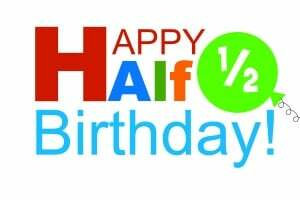 What fun things have you done for half birthdays? This is adorable! I think I will start springing these up on my family! 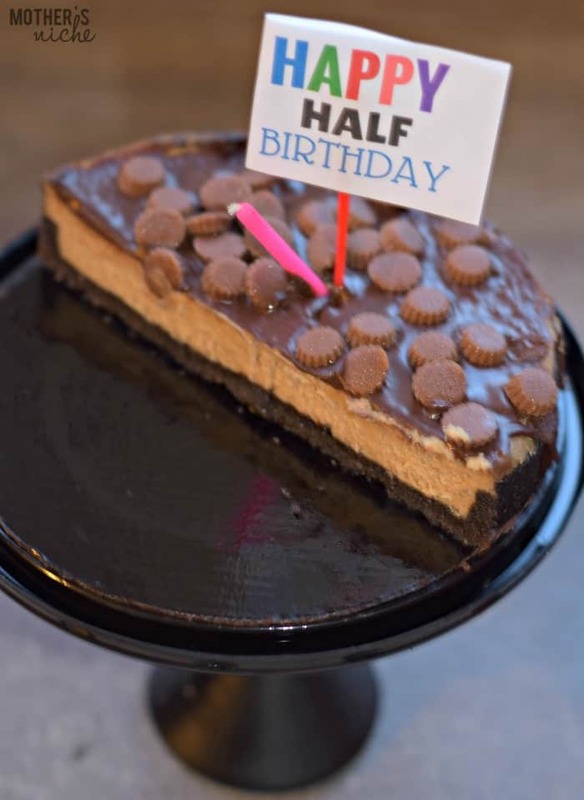 Would someone please explain what is a half-birthday? I’ve not heard of this til I stumbled onto this blog. Does it mean you have 2 birthdays a year, one exactly 1/2 way through? So since I’m 53 I would have had 106 parties, right? I love your ideas! Super cute. I have started this tradition with my sons. When my son turned 6 months, we threw a little family party with half a cake. When he turned 18 months he got sprinkled pancakes cut in half and we did fun things for him through out the day even transforming his room with streamers, banners, and 18 balloons. My second son will be 6 months in a few days, might do some of your cute and creative ideas and try to throw my husbands half birthday one year! 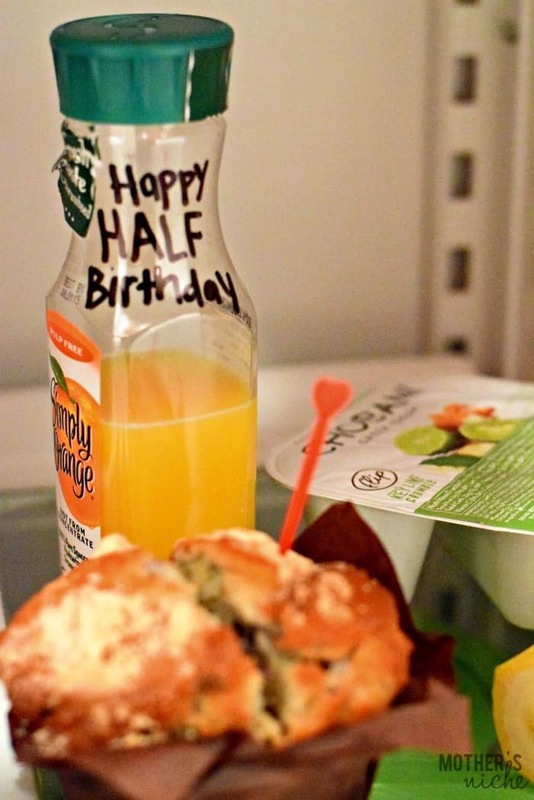 I had a half birthday party for my husband, knowing that I might have HALF a chance of surprising him! It worked. I cut paper plates in half and served half a pizza. I served devilled eggs (1/2 an egg), and half a cake. Of course, a card from his better half. It was a long time ago; Pinterest makes it much easier now adays. What are some of the ideas you did for the present on the half hour? 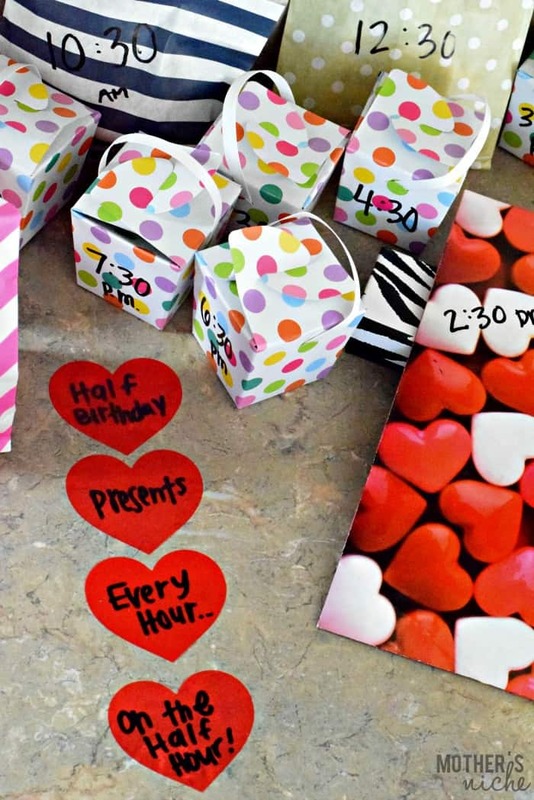 I am planning to do this for a 12 year old girl and I’m not sure what to include in these cute gifts. How fun. Love this for adults and not only 6 month olds.